here is an more than obvious reason to pay a visit to DesignSpaceLondon. 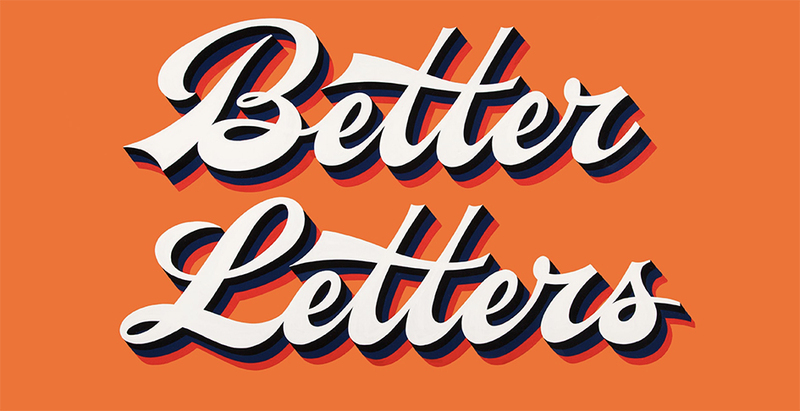 There from the 13th of June through the 28th of July “The Better Letters Summer Showcase” features 12 hand-crafted originals from Better Letters lettering and signwriting talent (James Cooper; Harry Fieber; David Kynaston; Mike Meyer). 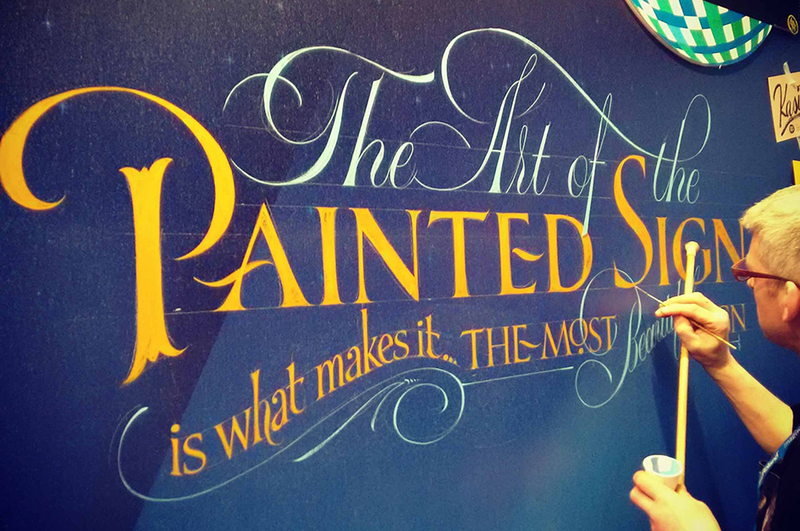 All the pieces have been produced using oil-based paints on a variety of materials to demonstrate the diversity of styles across the four featured signwriters. 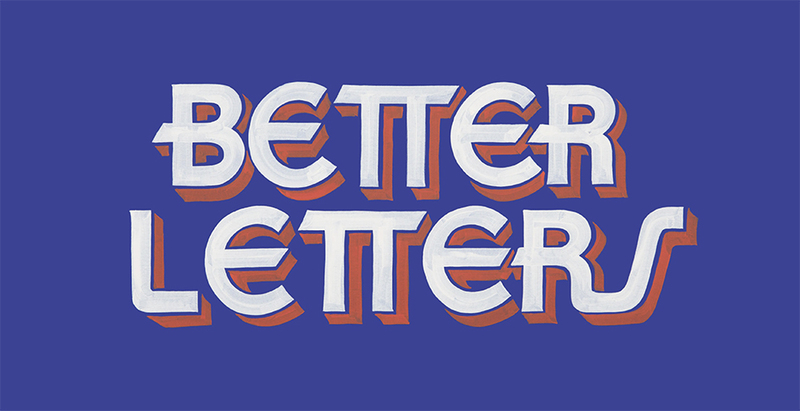 The work on display forms the basis of the new Better Letters website including the first in a special series of 404 pages for anyone getting lost in translation. 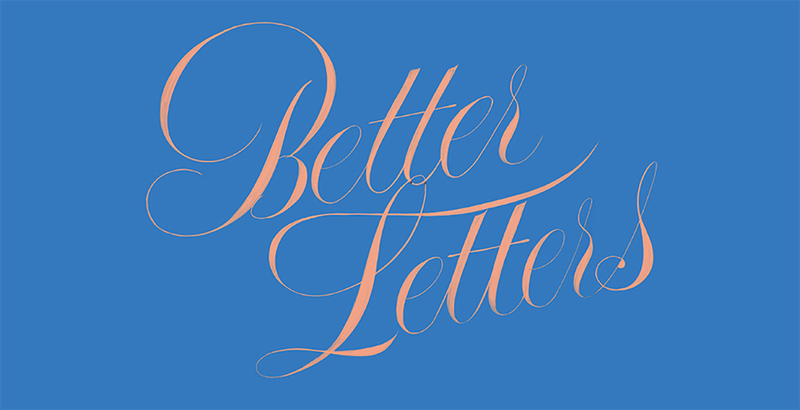 Following are the talents that will remind us the power of lettering in every single form. 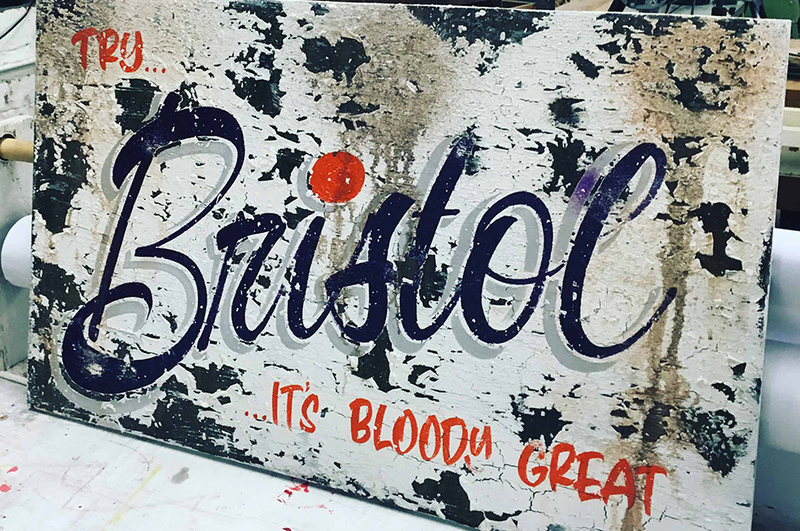 James Cooper runs Dapper Signs out of Bristol in the West of England. 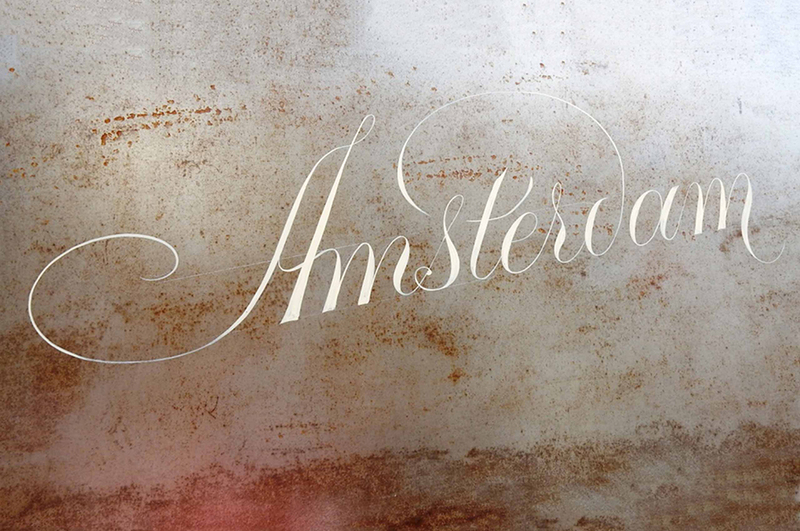 His diverse range of UK and European clients including a strong contingent of tattoo parlours for which he has developed a reputation for bold custom lettering. In addition to his sign work James regularly runs and hosts signwriting workshops at his studio, and travels Europe for tattoo conventions and Letterheads meets. Harry Fieber is a graphic artist and illustrator based in London, practicing traditional sign-painting and hand-lettering. 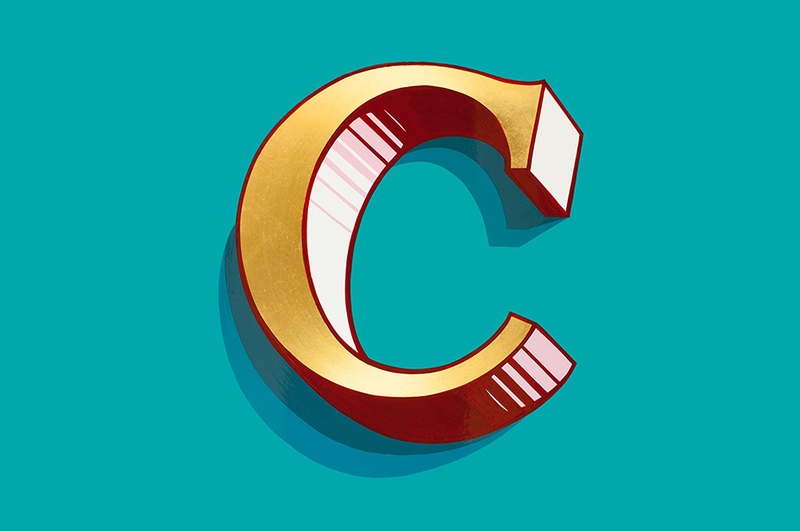 With an eye for detail and a love of letterforms and comic books, his work is a mix of classic typography, beautiful colour combinations and surreal landscapes. 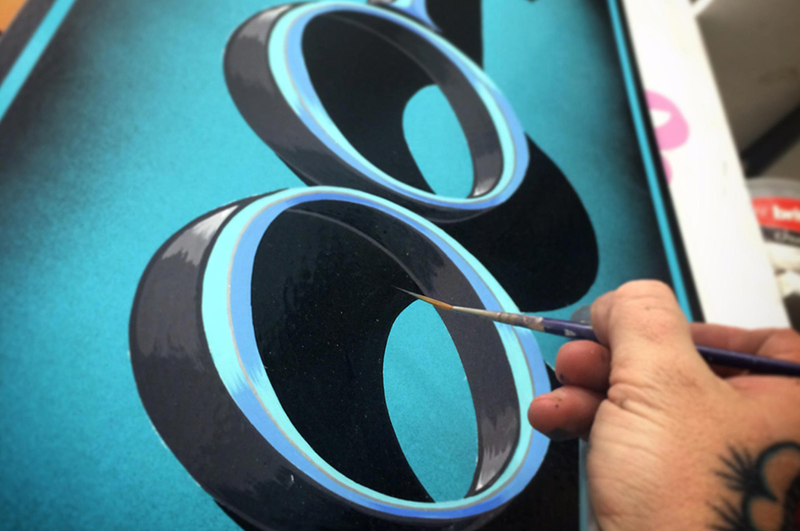 From logo design to bespoke typefaces and hand-painted signage, his tactile approach has developed into a versatile practice, allowing him to explore and realise the full potential of his approach to creative ideas. Harry also co-owns multi-disciplinary art+design studio UTILE, based in Hackney Wick, London. As creative director he oversees his ten-strong team’s aesthetic output and shares with them a strong passion for colour, form, and a hands-on, collaborative approach to all projects. 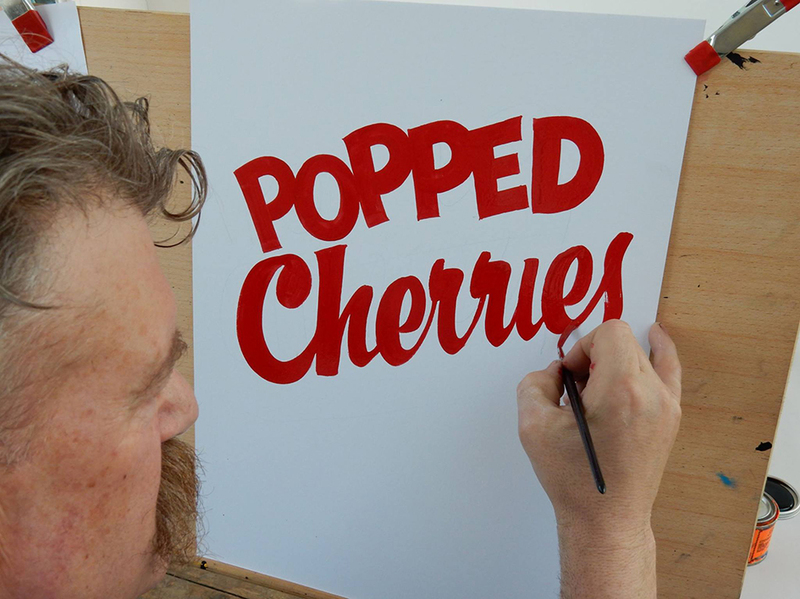 David Kynaston has been lettering for 30 years, working on everything from Formula 1 cars, to cafes and steam trains. His demonstrations and workshops have taken him all over the UK, USA and Australasia. 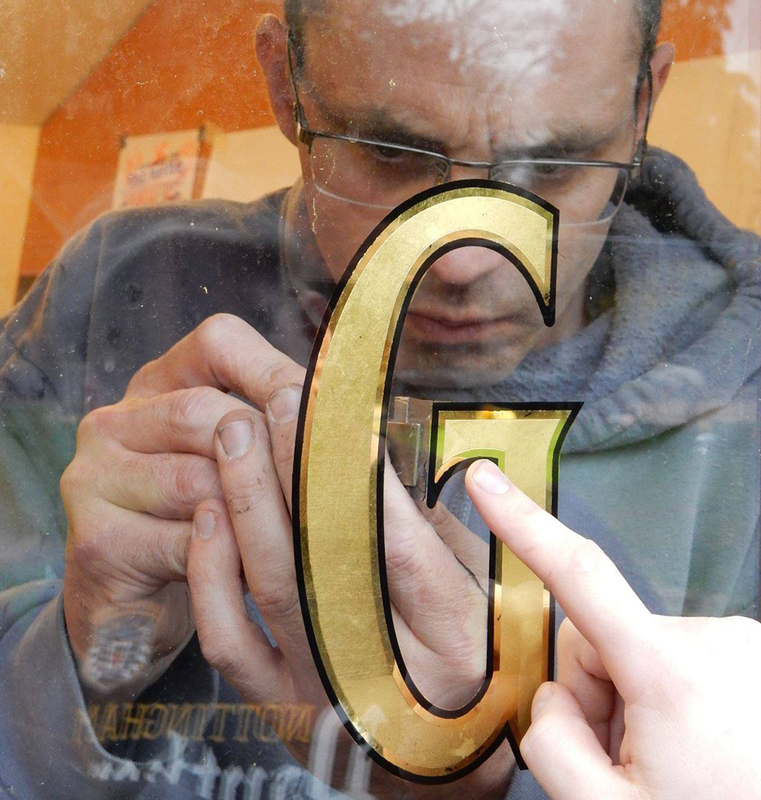 Through Better Letters his teaching introduces the fundamentals of the classical Roman and Copperplate forms which he considers as the foundation of all signwriting. 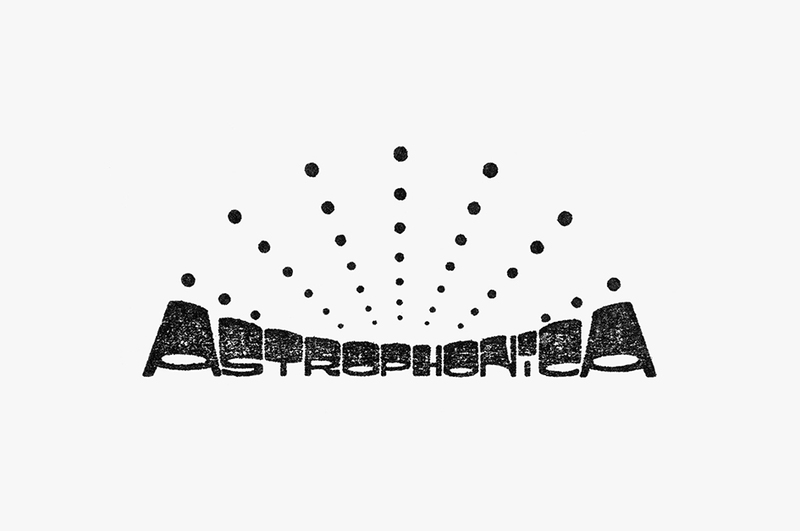 He has also written about these lettering styles for numerous trade publications, all part of his passion for sharing knowledge. David is also a pictorial artist, with illustration often used in conjunction with lettering in this work. 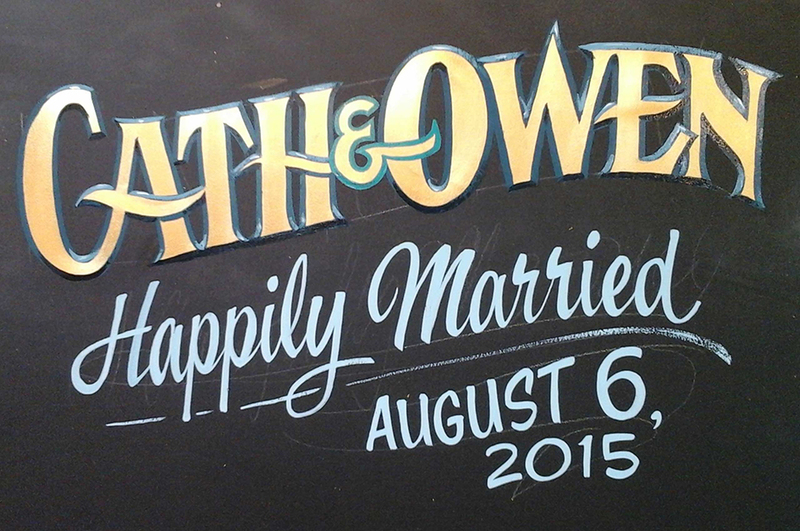 Mike Meyer is a sign painter from Mazeppa, a small rural town in Minnesota. He is an ambassador for the sign painting business through his active participation in the Letterheads movement and, in 2012, his dedication was recognised through an appearance in the internationally-acclaimed film, Sign Painters. 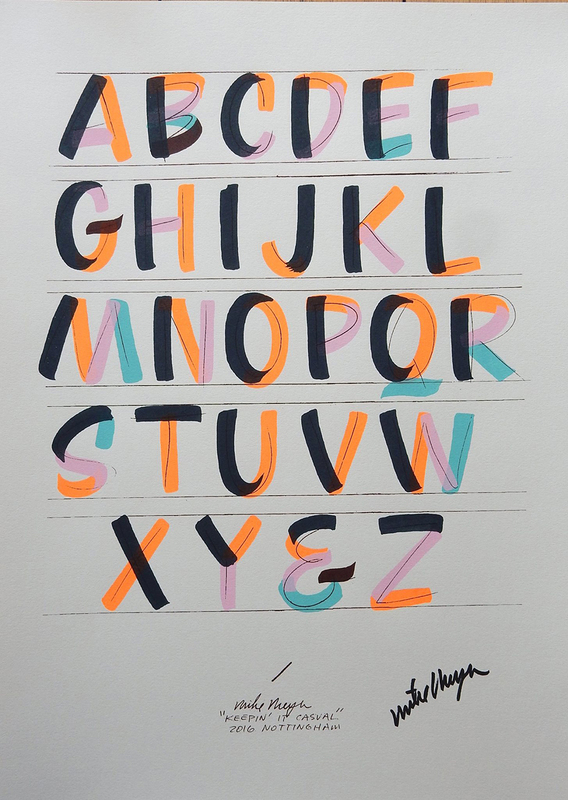 Since 2013 he has travelled the world, bringing his renowned lettering workshops to dozens of cities across Europe, the USA, Canada, Australia and New Zealand. In his own words, ‘Nothing can replace the ‘power’ of what a brush in your hand can produce’. The exhibition is open to the public Monday to Friday, 9:30am to 5:00pm and its a date! 20 Webber Street, London SE1 0QL.